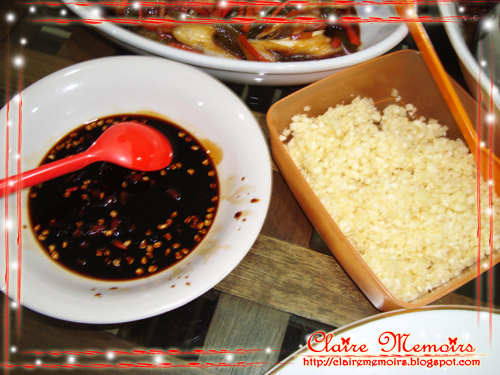 Spring Onions Fried Fish - Fried fish with spring onions, carrot, and chili slices in salted soy sauce is my Daddy's favorite hehehe (Muaccckkkzzzz Love Daddy and Mommy). 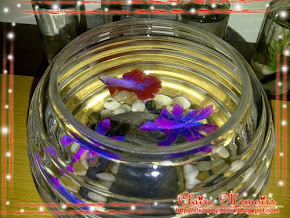 The pronunciation of fish in Chinese is yú (魚). The fish represents remains or surpluses every year and the carrot represents good luck. 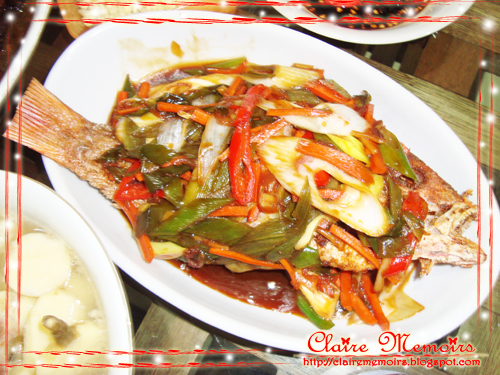 Fish must be served as whole fish but is not eaten completely during the reunion dinner. The fish head and tail will be left overnight to signifies the completion in everything we do. There is a beginning and an ending for the things we do. 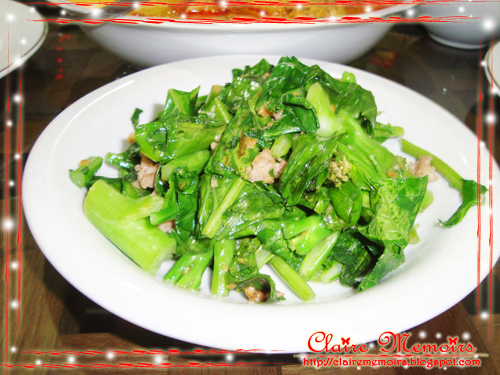 Chinese Broccoli in Rice Wine - It is cooked with a bit of pork slices. Fresh green vegetables symbolizes close family ties. 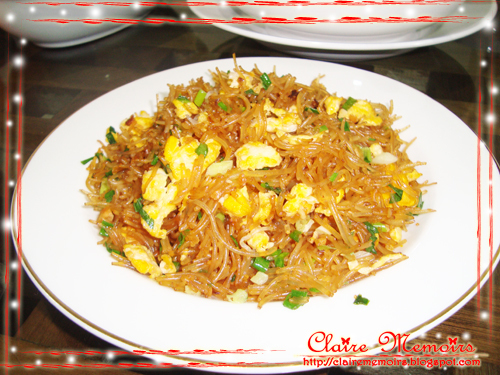 Fried Winter Noodle with Egg - Winter noodle or any kinds of noodle represents longevity for the family. Eggs represent fertility. 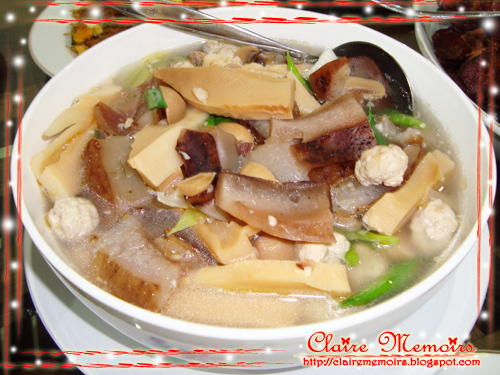 Home Sweet Home Treasures Soup - sea cucumber, pork ball, button mushroom, spring onions, and bamboo shoots in soup is also Daddy's favorite :D . It represents treasures..... a lot of treasures and goods for us. 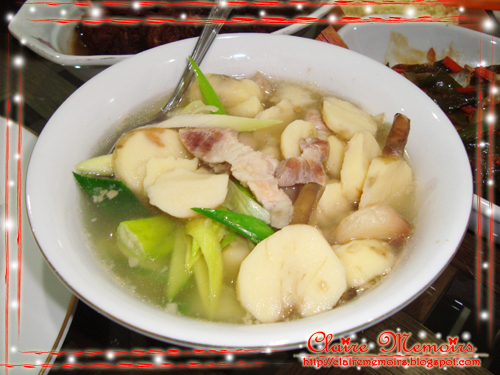 Arrowroot Bulbs in Spring Onions Soup - Arrowroot bulbs or some people call it Duck Potatoes cooked in 3 layers pork and spring onions in soup. 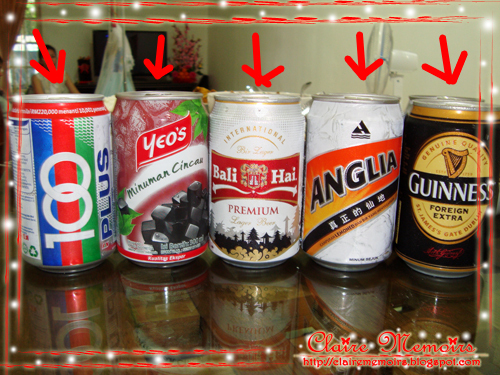 Arrowroot bulbs symbolizes good life and prosperity in the family. 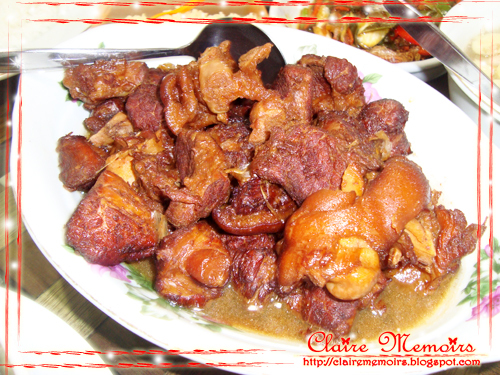 Braised Pork Leg in Dark Soy Sauce - Until this second, everyone who ever tasted this menu cooked by my Mommy will say "The braised pork leg cooked by your mom is really great!". Thanks to them to give such impressions on this dish and thanks to MY SWEET CHEF MOMMY (...for everything, not only for food :D ). And this is not only Daddy's favorite, but FAMILY FAVORITE. Pork symbolizes strength, bless, and wealth. Home Recipe Chicken and Potato Curry - Family favorite too. 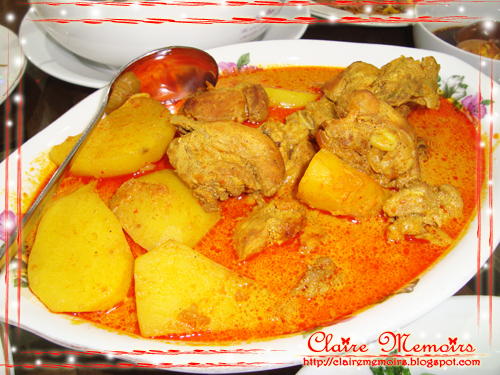 Chicken and coconut milk symbolize togetherness of the family. Chicken symbolizes prosperity and joy. 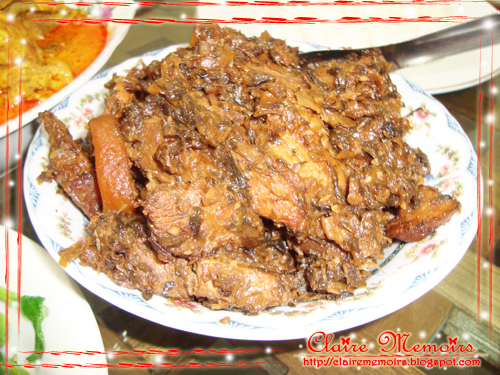 Stewed Pork Leg with Dried Vegetables - dried vegetables represents harmony, happiness, and prosperity.